Pasadena Sandwich Company has been a part of the neighborhood fabric for over 20 years. 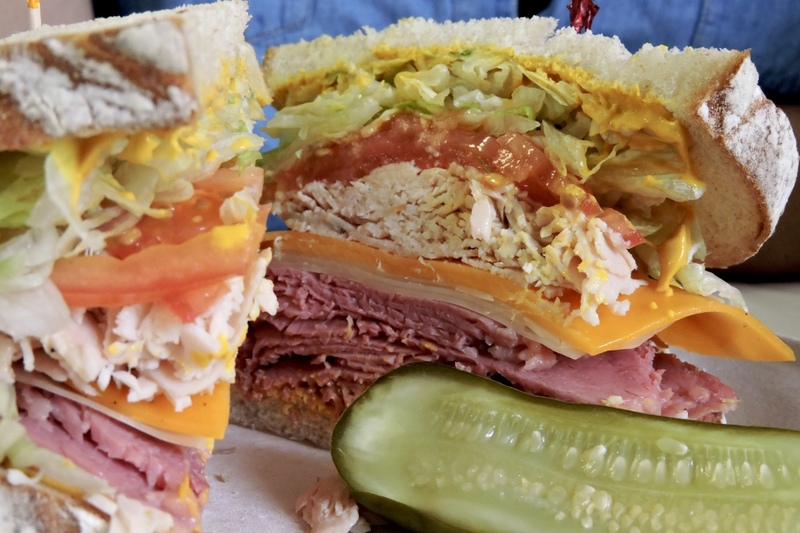 Like a slice of vintage New York, Pasadena Sandwich Company’s Fink family has been serving up old school-deli specialty sandwiches in the San Gabriel Valley for over 20 years. With a sandwich-making pedigree spanning three generations, this landmark shop has deep roots in LA cuisine. Inspired by his LA restaurateur father, Bert Fink and his wife Doris got the ball rolling in the 1950s by selling homemade meats and salads at their Pomona deli. Their son, Steve, followed suit by opening Pasadena Sandwich Company in 1995—an instant neighborhood hit. Though Steve Fink passed away in 2010 from the rare condition Amyloidosis, his legacy of creating truly mouthwatering sandwiches and memorable experiences lives on in his children: current PSC owners Meghan, Jon, Kaytee and Nicole Fink. That legacy has meant serious commitment to the sandwich-making craft. All the meats used in PSC’s sandwiches are roasted and prepared right on the premises, along with a rotation of freshly made salads, meats and cheeses available by the pound. Among their award-winning sandwiches are favorites like the “Trust the Cook”—a one-of-a-kind chameleon that changes each time it’s made, inspired by Steve Fink’s habit of asking customers if they “trusted the cook” when asking for his menu recommendations. Another, “The Big Steve,” is a delicious corned beef, turkey, swiss and cheddar behemoth named for the founder, with its proceeds donated to the Stephen E. Fink Memorial Fund supporting the research and treatment of Amyloidosis. The popular “Big Steve” sandwich, named for the Fink children’s father and Pasadena Sandwich Company founder, Stephen Fink. Proceeds from the sandwich go towards the Stephen E. Fink Memorial Fund for Amyloidosis research and treatment. That “love thy neighbor” approach is manifested in their community involvement. PSC hosts blood drives, bone marrow registry days and more to help those suffering from Amyloidosis. In partnership with the local fire department and Pasadena Unified School District, they created Pasadena Share a Meal, an event serving hundreds on Thanksgiving Day. At Christmas, their Sharing Joy event works with the Westin Pasadena to bring community support to Families in Transition in the Pasadena area. Although the owners of PSC consider giving back to the community an honor and privilege, the gift goes both ways. Their goal of honoring their father, community and craft is visible in every person touched by their outreach and the quality of their cooking. “Real food is essential to our wellness,” said Meghan Fink. “We will continue to serve our community the best way we know how: with gratitude, love and kindness.” And we hope you’re hungry. Pasadena Sandwich Company is located at 259 Sierra Madre Villa Ave #102. 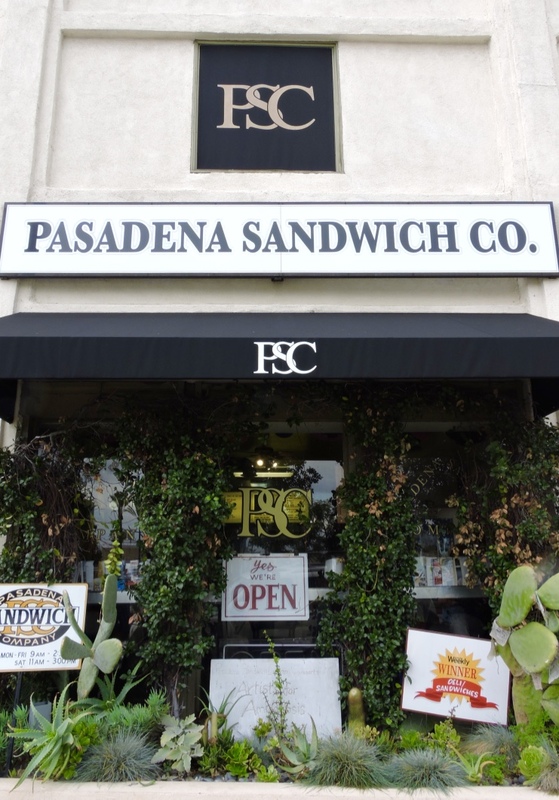 For catering and other requests, contact the PSC crew at 626-578-1616 | www.PasadenaSandwichCompany.com | pasadenasandwichcompany@gmail.com and scope out your next sandwich on Facebook and Instagram @PasadenaSandwichCompany or Twitter @PasSandwichCo.